Městský stadion is a municipally owned football stadium located in the central Czech Republic city of Mladá Boleslav. 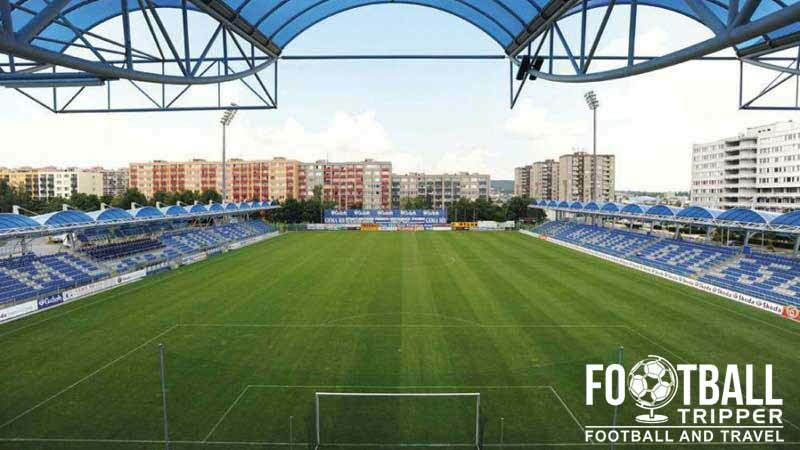 Home to First League side FK Mladá Boleslav who seemingly have a badge inspired by Juventus, the ground has a matchday capacity of 5,000. The Municipal Stadium of Mladá Boleslav first opened in 1965, and the football ground is merely one part of the wider sporting complex which consists of an athletics track, skating rink and an artificial training pitch. It is built adjacent to the club’s former stadium which features an athletics track around the perimeter of the pitch. 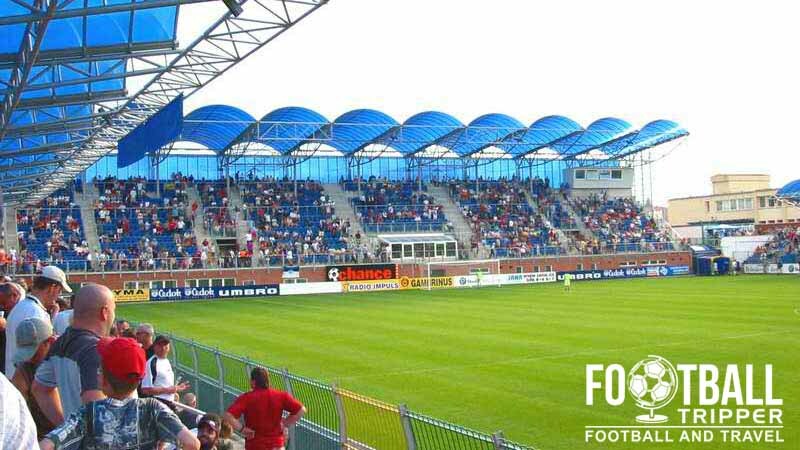 Capable of seating 5,000 supporters, FK Mladá Boleslav’s stadium consists of three stands in a rectangular arrangement, the ground horseshoe in design and features no terrace places for supporters. There are around 50 special places for journalists and members of the press, and the stadium is now equipped with under-soil heating and a modern floodlight system. Since Mladá Boleslav earned promotion in 2003/2004 and established themselves as a top flight team, the club have qualified for European football several times. The highest level of football held at Městský stadion Mladá Boleslav was arguably the qualification matches of the Champions League during the 2006/2007 season against Vålerenga Fotball and Galatasaray. However the club have progressed much further in the Europa League, reaching the group stages twice when the competition was known as the UEFA Cup. 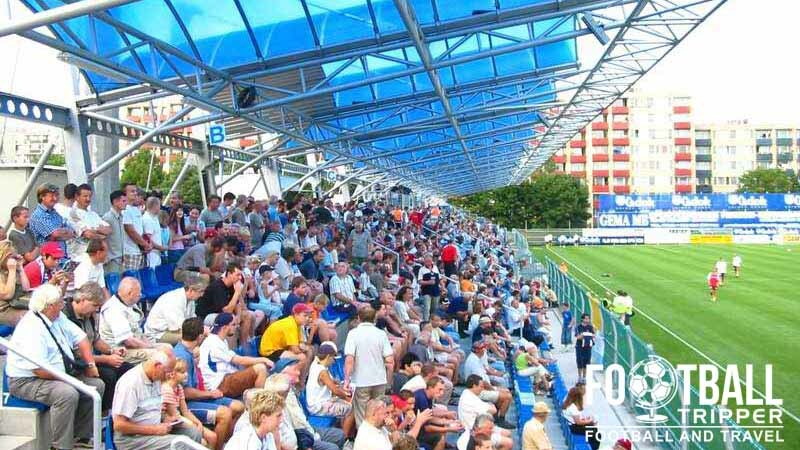 After defeating Palermo in the play-off match, Mladá Boleslav were drawn against Villareal, Elfsborg, AEK Athens, and Fiorentina during the 2007/2008 season No one can therefore say that the municipal stadium has not hosted some giants of European football! 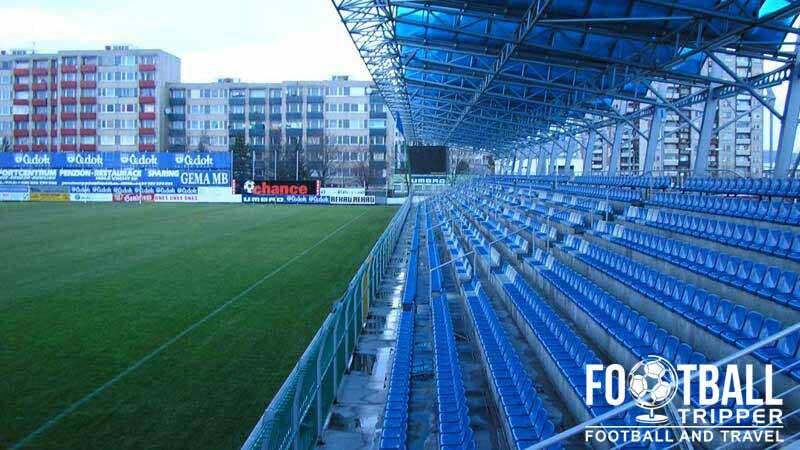 Mladá Boleslav City Stadium is comprised of four stands: North, East, South and West.